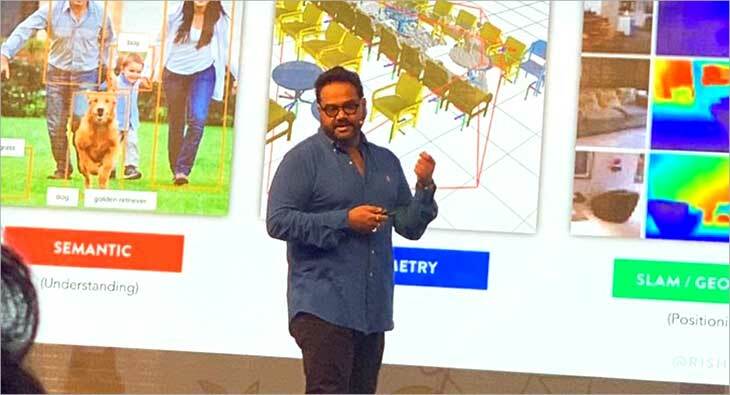 At Goafest 2019, Ambarish Mitra, CEO & Founder, Blippar addressed the audience on augmented reality, virtual reality and its rapid evolution in the marketing and advertising realm. Setting the tone for the session, Ambarish began by defining the difference between Augmented Reality and Virtual Reality. “When you look at the world through a camera or a device and the world comes alive with different content. That is augmented reality. So 'reality' is an important keyword here as you have to look at the physical world. While virtual reality is almost always an escape from reality”. With the advertising industry peeking into the next frontier, Mitra stressed on the scope, the means and the potential impact of augmented reality in the world. Blippar started its journey close to a decade ago in London over a simple joke on how the image of the Queen of England, on the back of a 20-pound note, should come alive and interact with a consumer. His co-founder, whose background was in artificial intelligence, developed the first prototype of Blippar even though Ambarish went on to concede how he was clueless about what AR even meant. “When we look at this world, it’s not this finite number of streets. It is everything, every flower, every car, every building. And if every one of these elements can tell me a story the potential for AR is endless”. Ambarish optimistically described how the general interface of computing, as we know it, is rapidly changing which is leading to an imminent paradigm shift. “Anybody, no matter their literacy or socio-economic background, can talk to a smart device and can see through a smart device”. It is this key insight that is leading to a steadily increasing number of companies realising the importance of and investing substantially in AR to communicate their brand’s story. Speaking about how content should cater to a consumer intimately on a visual level, Mitra went onto reassure the largely ad executive audience of how the idea of targeting their ideal consumer is changing to the consumer listening to them actively through the medium of AR. Rounding off his interaction on a brave note, Mitra treated the audience to a few real-time demos of AR technology modules curated by Blippar. A walk through a virtual clothing store and a session at a virtual gymnasium gave insight to the attending delegates on how they can leverage the ecosystem to place brands and products without overwhelming the consumer.